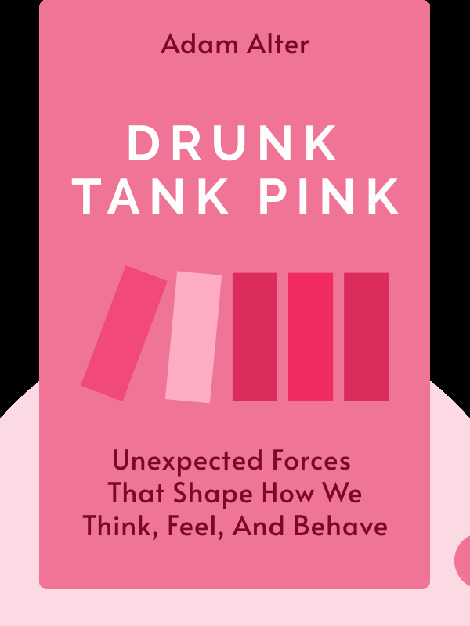 Drunk Tank Pink probes the hidden psychological and social influences that shape the way we see, think, feel, and act in the world. 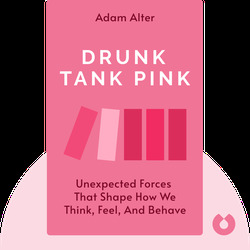 Adam Alter is a New York University psychology and marketing professor whose research deals with behavioral economics and the psychology of judgment and decision making. He has contributed to magazines such as the New Yorker, the New York Times, Psychology Today and Popular Science.